In its first competitive grant round of 2017, The Indianapolis Foundation, an affiliate of Central Indiana Community Foundation, allocated $1,517,100 to 29 not-for-profit organizations serving Marion County and its residents. The Indianapolis Foundation board of directors approved the grants March 21. Health Services: Little Red Door Cancer Agency will use its $30,000 to provide transportation services for low-income senior cancer patients and Cancer Support Community Central Indiana has allocated its $25,000 grant to support free programs for cancer patients at Eskenazi Health. Human Services: A $30,000 grant to Exodus Refugee Immigration will provide critical programs and services that help refugees resettle in Indianapolis, and a similar $25,000 grant to Burmese American Community Institute will help build capacity to provide services, including citizenship and English Language Learner classes to Burmese refugees. 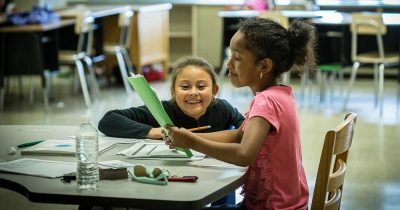 Education: Summer Advantage USA, in partnership with Arts for Learning, will use a $40,000 grant to combat summer learning loss through Inspiring Scholars programming at Phalen Leadership Academy, School 103. Twenty-five Marion County youth, identified as having behavior or emotional learning challenges, will attend Englishton Park’s intensive, therapeutic residential summer camp at no cost thanks to a $25,000 grant. Economic Development: King Park Community Development Corporation will use its $60,000 to support the Build Fund, which provides flexible and affordable loans in financially underserved areas in Indianapolis. The loans create jobs and spur economic development in disinvested neighborhoods. Source River West, a program from the IUPUI Office of Community Engagement, will stimulate development in the Near Westside through a $48,000 grant. The place-based entrepreneurship center fostering entrepreneurship, supporting area businesses and hosting a work space. Grants from The Indianapolis Foundation are made possible by the unrestricted Endowment for Indianapolis. Supplemental funding is made possible by the field of interest funds: Howard Intermill and Marion Intermill Fenstemaker Fund, John Harrison Brown and Robert Burse Fund, James Proctor Fund for Aged Men and Women and The Indianapolis Foundation Library Fund. The Indianapolis Foundation also partnered with several donor-advised funds to award an additional $75,000 to several of these organizations.